Are you an Apostle of Love? Join Queen of Peace Productions in our mission to bring God’s love to those yet to know it. Get access to exclusive content and behind the scenes updates by giving our cutting-edge “media ministry” the support it needs to reach the masses. Join the Apostles of Love community today. Hello! My name is Sean Bloomfield. 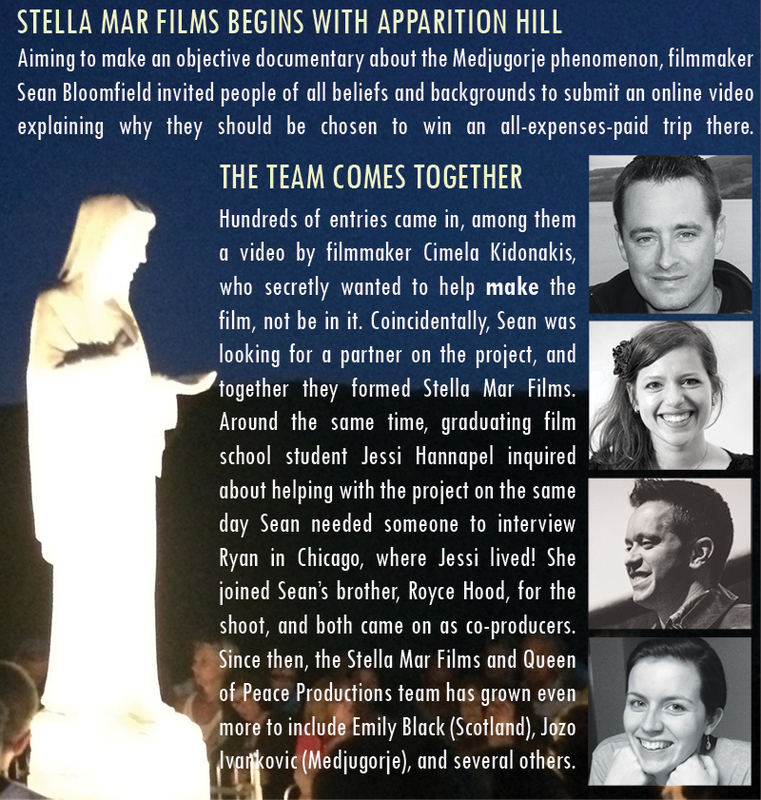 I founded Queen of Peace Productions nearly 20 years ago, and, more recently, partnered with filmmaker Cimela Kidonakis to establish Stella Mar Films. 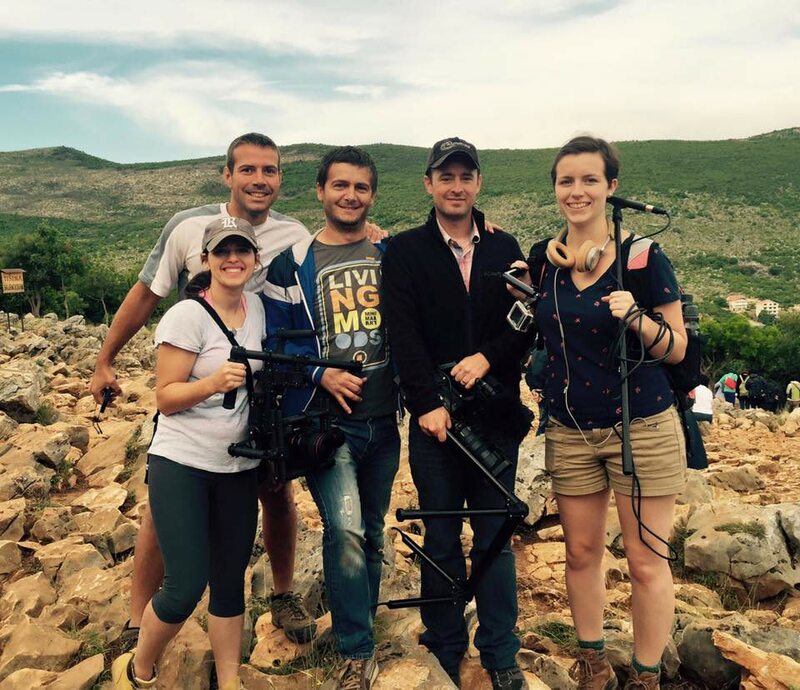 Together we lead a team of like-minded professionals who are just as passionate about this mission as we are. Looking back, I’m amazed by how far we’ve come. 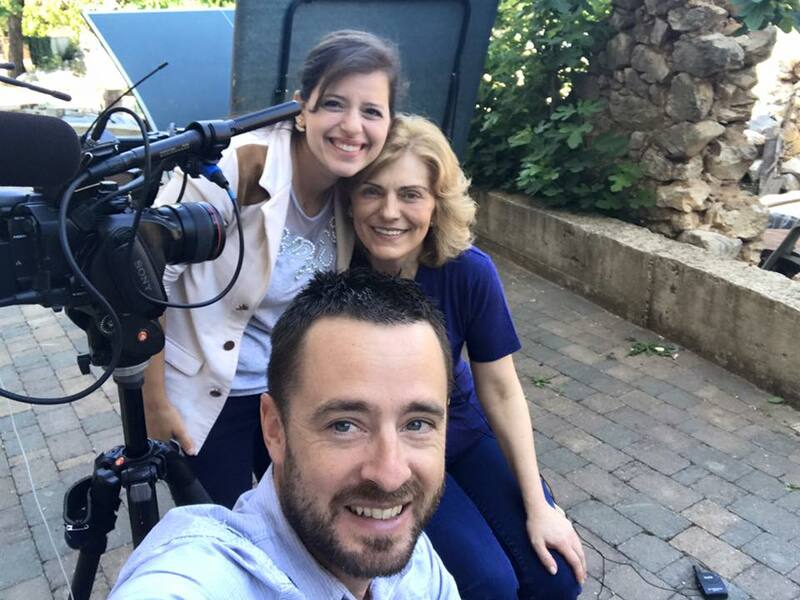 As a child I dreamed of being a filmmaker and author, but I never expected to produce movies about miracles, let alone help a visionary write her life story as with Mirjana Soldo’s book My Heart Will Triumph. In fact, I was raised with practically no religion. Although my writing and film projects earned me a scholarship and college awards, my creative output was often dark and cynical, and my only goal after college was to work in Hollywood. After all, the idea that six children had been experiencing apparitions of the Virgin Mary for such a long time sounded absolutely crazy to me. Who could believe such a thing? 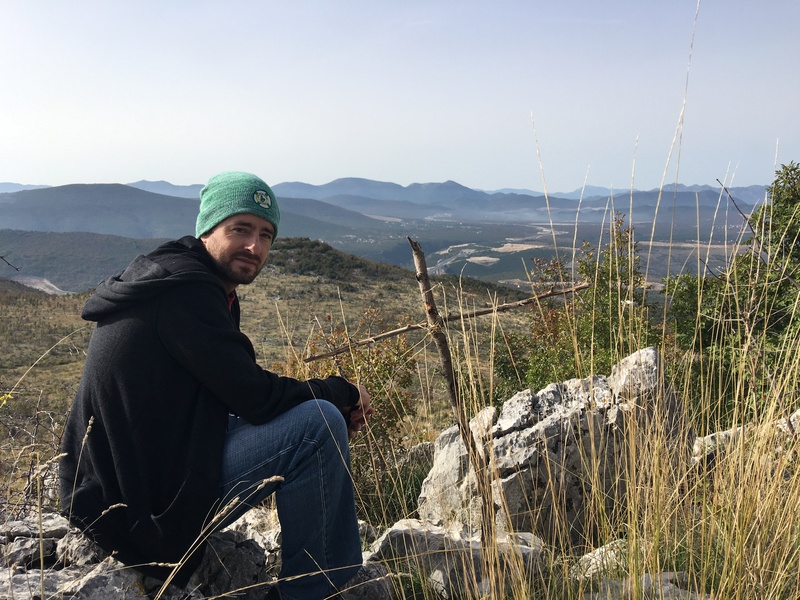 And yet, after spending just ten days in Medjugorje, I didn’t want to leave. 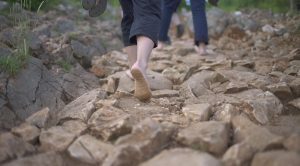 Something had touched me deep inside, and I had a very real sense that I was being called to help others know about it. 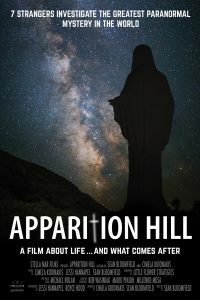 Returning the following year with a video camera, I made my first of many films about Marian apparitions. Over the years, I’ve been pulled in other directions by amazing job offers or my own entrepreneurial ideas, but I always came to feel that I was ignoring my calling whenever I used my creativity for anything besides helping others. When I finally committed fully to my mission, the doors opened wide, and now I am blessed to be working with a talented group of people who share the same goals. There’s so much more we want to do, but we work in this mission full-time (plus overtime! ), often with little to no pay, and we’re at a point now where we have to ask for your help. Our films, books, and outreach would not exist without the support of people who believe in our mission—including volunteer involvement, prayers, and financial donations. Our Apostles of Love community combines all those and more in a new, special way. Pledging your support here not only helps us continue reaching “those yet to know God’s love”—it also allows you to be an active participant in our mission. Patrons become part of our members-only community which gives you direct communication with our team, access to exclusive content, behind-the-scenes updates, confidential news, and more. Your monthly donation as a patron will go directly to our cause. 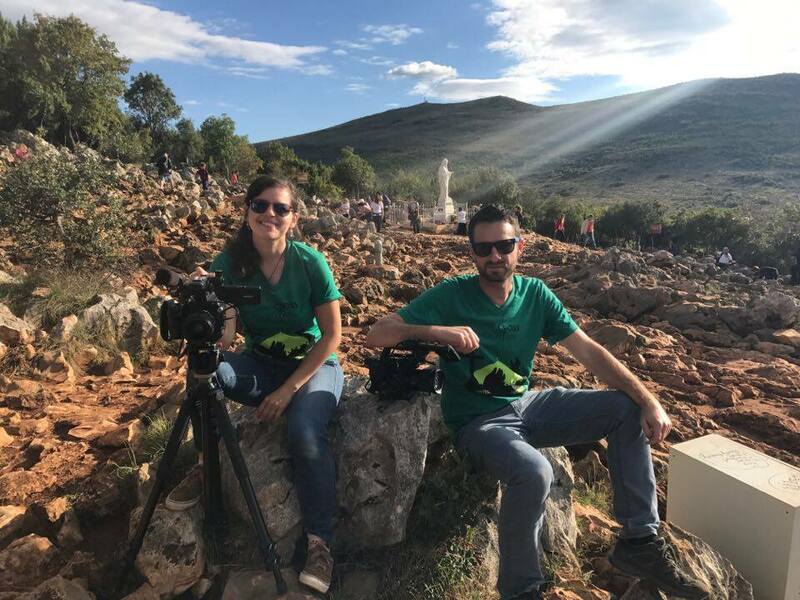 And right now we’re in dire need of financial support—not just to continue our mission, but also to bring our exciting new plans to fruition, including a major feature film about Medjugorje. 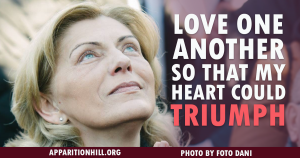 So, if you believe in our mission, then please join us by becoming a patron today and we’ll send you some free gifts from Medjugorje to show our gratitude. Join now at our Patreon community. Thank you for being an Apostle of Love! Join the Apostles of Love community at Patreon.